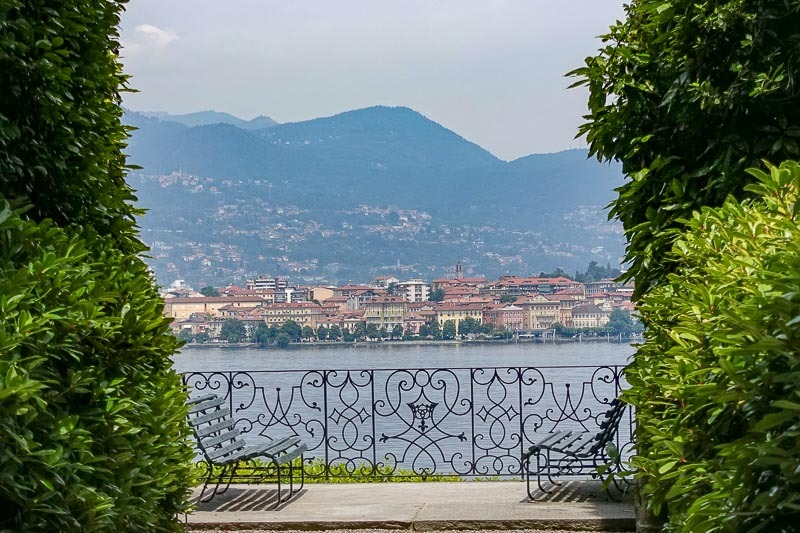 The Borromean Islands are located in the middle of Lake Maggiore, to the north of Milan in Italy. They are made up of the three islands Isola Bella, Isola Pescatori (also called Isola Superiore) and Isola Madre. The Islands are owned by the Borromeo family, who first acquired them in the 1500’s. 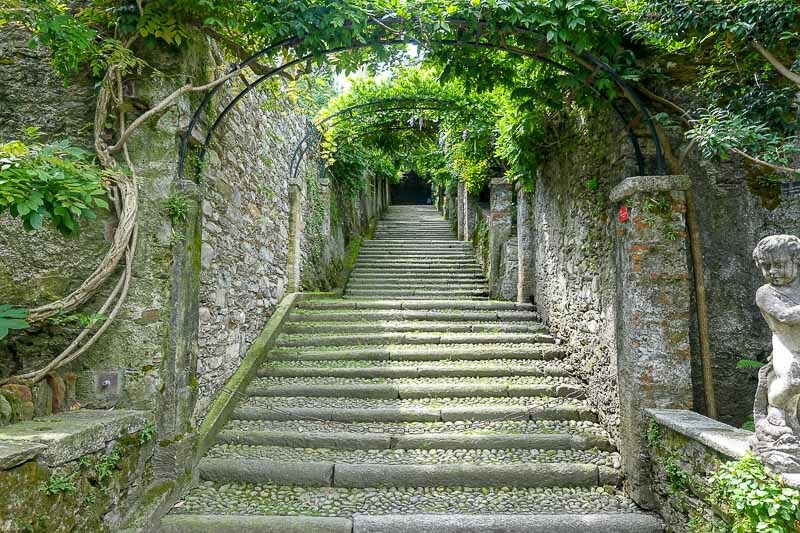 They offer historical buildings and absolutely stunning gardens and make a perfect day trip from Milan. 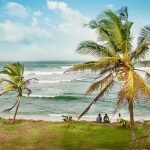 6 All Inclusive Tours or Something Special? 7 Looking for Somewhere to Stay? 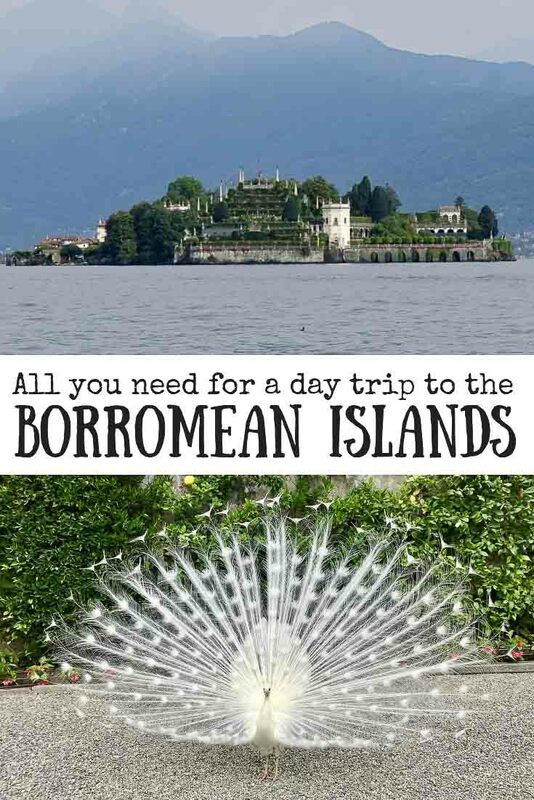 The Borromean Islands are easily accessed by ferry from Stresa, Italy, a small town on the western side of Lake Maggiore. Stresa is around an hour by train from Milan. Prices start from €8.60 each way on the regional trains. If you would like a slightly quicker trip on a more luxurious train, this can be had on the Eurocity trains for €17.50 each way. For train times, head over to the Trenitalia website. 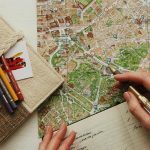 I have found this site to be great to work out times and prices for trains all over Italy. The ferry from Stresa costs €15 for a hop-on hop-off ticket for the whole day, allowing you to visit all the islands at your leisure. The ferry runs every half an hour. Literally translated as “beautiful island”, Isola Bella is the first island the Stresa ferry comes to. Originally it got it’s name from Isabella D’Adda, the wife of Carlo III who began the tranformation from a fishing village. 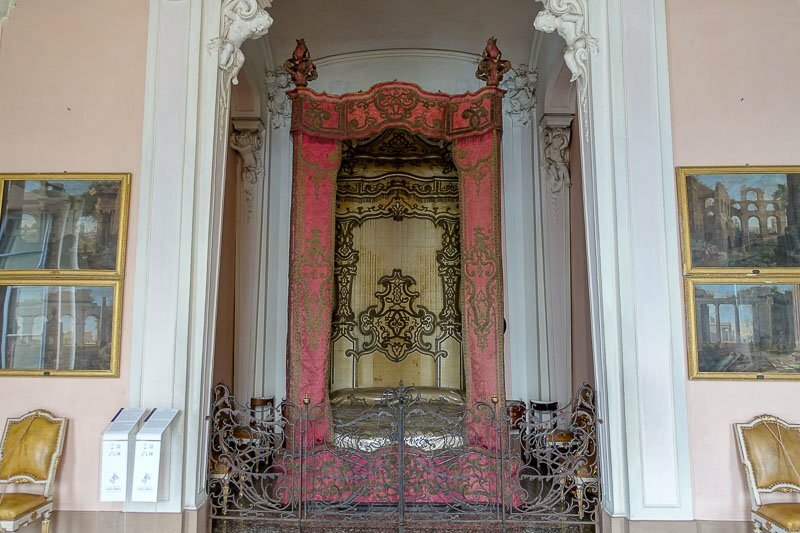 It contains a stunning palazzo that has seen visitors of the likes of Napoleon and Josephine over the years. Work first started on the building in 1630, and it has continued on and off ever since. 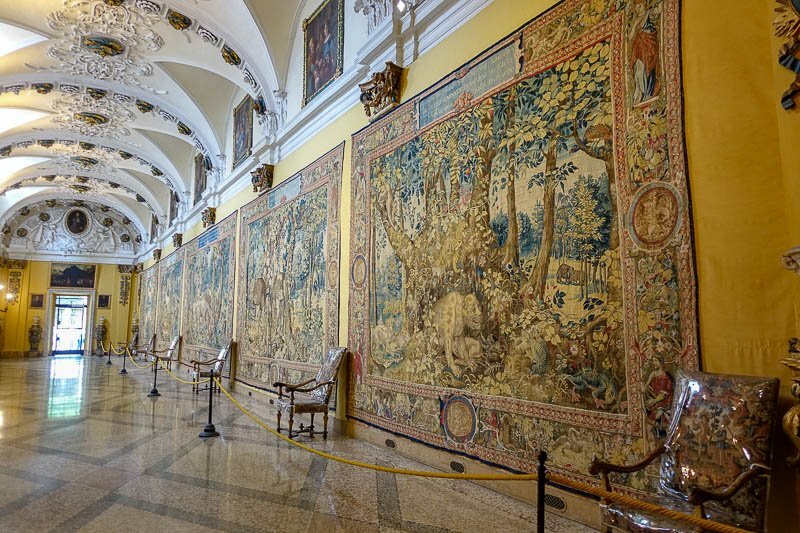 In 2013 it was fully restored and is now open for visitors. The bed Napoleon and Josephine slept on. The room has been preserved as it was during their visit. Many of the rooms have been set up how they were at some time in the past. 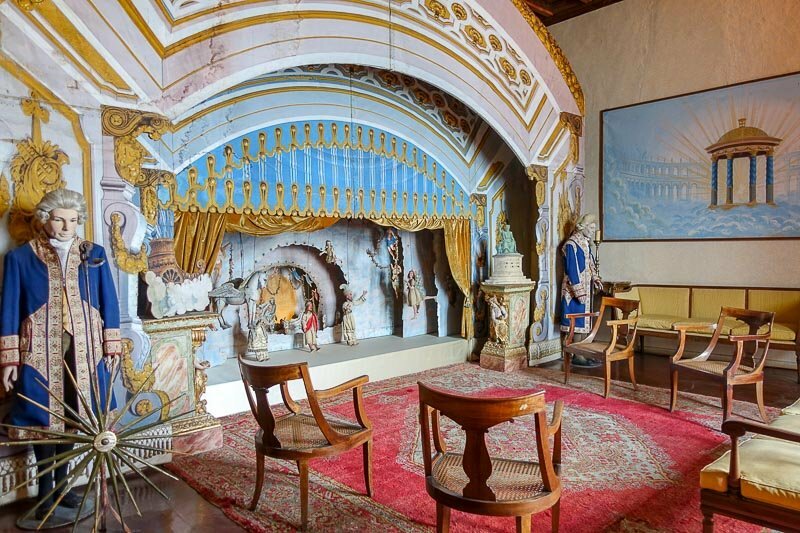 They showcase some lovely antique furniture and important artworks, and many other family heirlooms and treasures. The tour of the building starts on the top floor and works it’s way down. The dining room in the house on Isola Bella. Including the ugliest dinner setting I have ever seen. 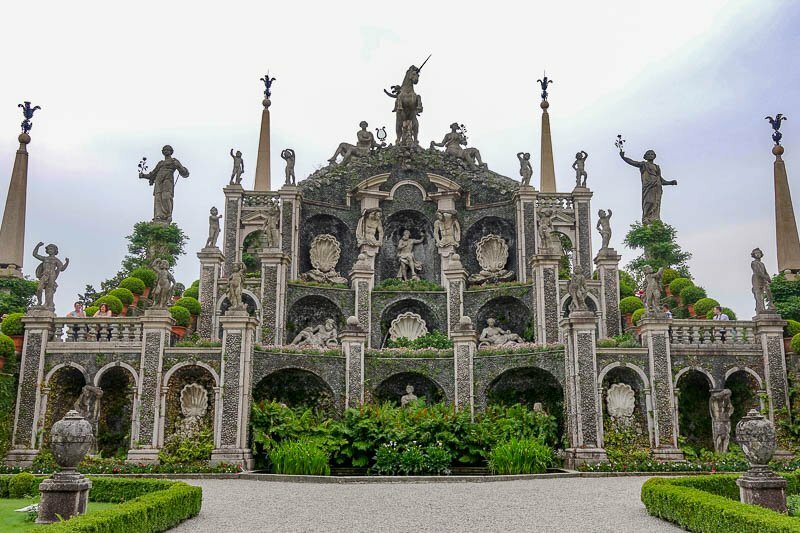 One aspect of this palazzo that makes it stand out from many of the other magnificent houses in Italy is the Grotto. 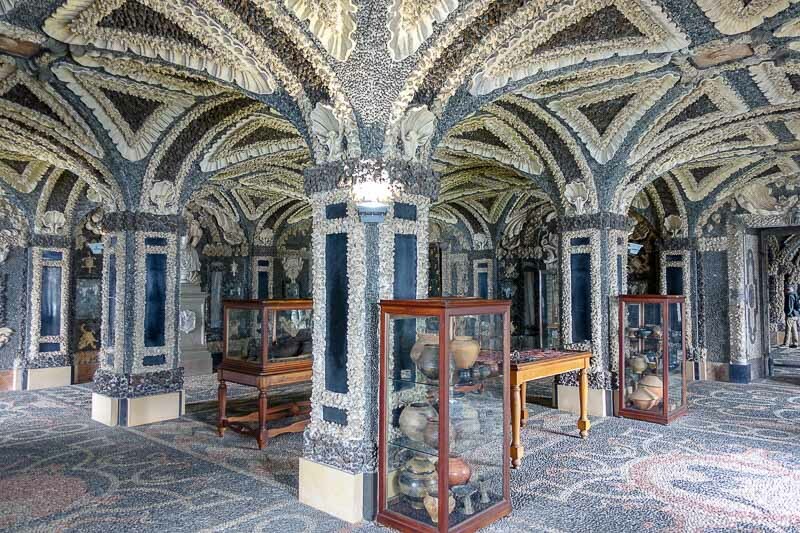 This part of the house was built as a summer house, and is entirely covered in pebbles and shells. It provided a cool place for the family to retreat in the warmer months. 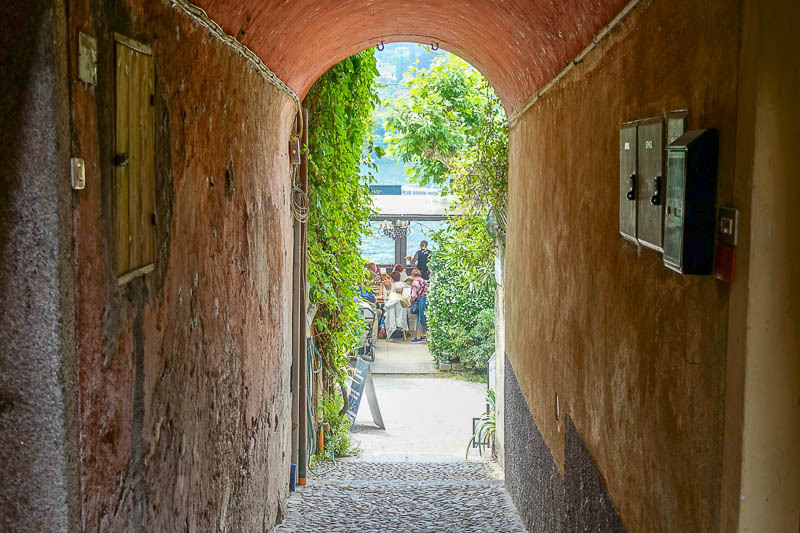 From the cool of the grotto you will emerge out into the Isola Bella gardens. If the house didn’t impress you, the gardens surely will. 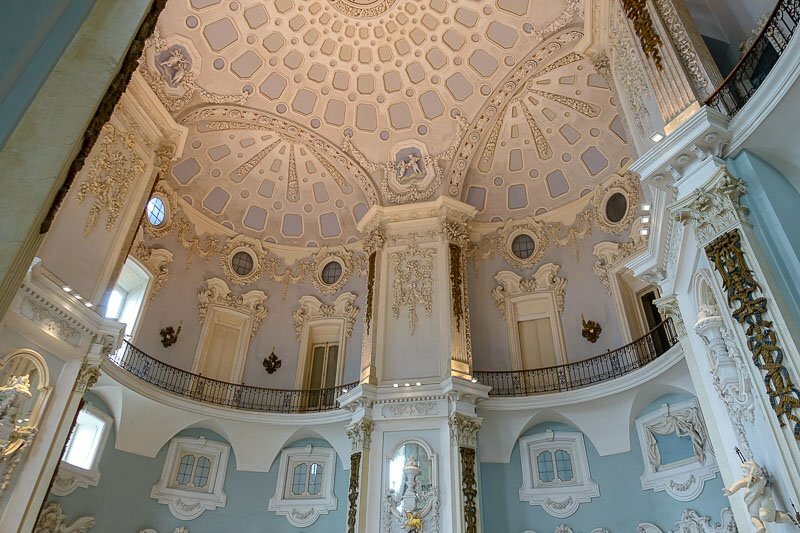 They are built over ten levels, with the centre piece being a stunning structure topped with a unicorn, the symbol of the Borromeo family. As you wander the gardens, you will probably soon come across a whole group of visitors crowded around. Closer inspection will show you the real attraction on the island, the white peacocks. They will likely be showing off for the cameras, and completely stealing the show from the beautiful surroundings. 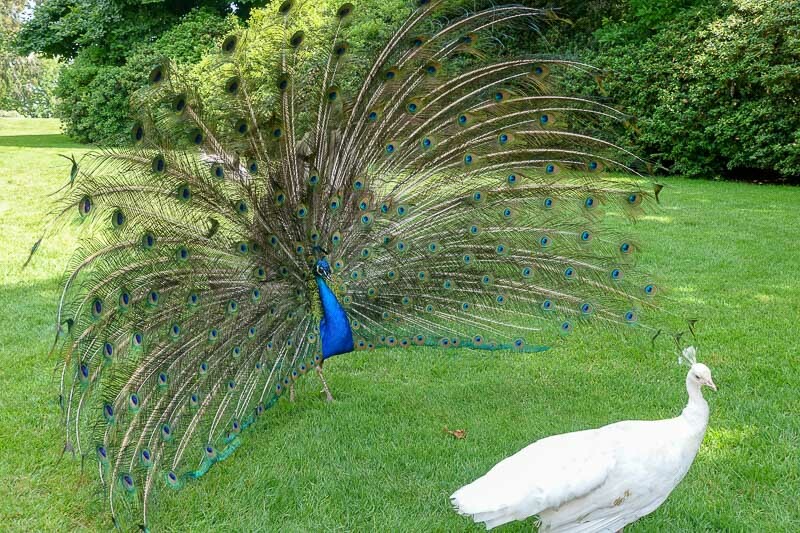 One of the magnificent white peacocks. 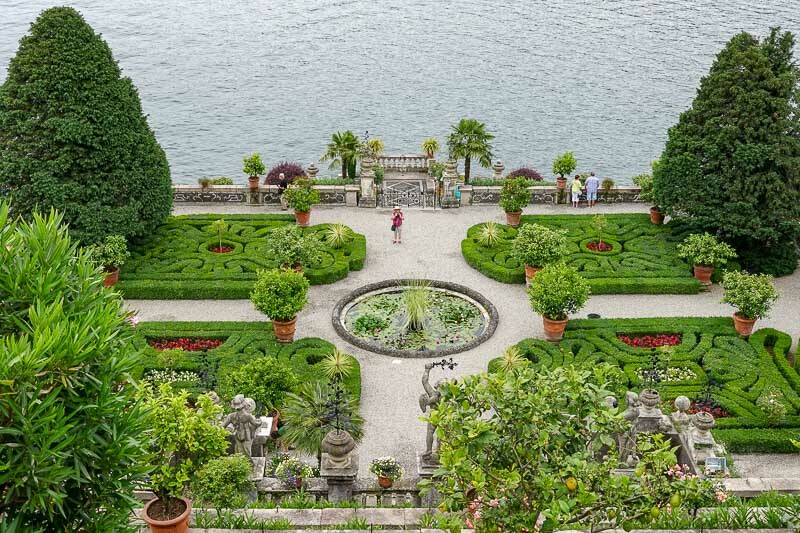 If you only have time for one, then visit Isola Bella island. Leave about 2-3 hours for your visit here. When you get back on the ferry to the next island, you will notice it is called by it’s other name of Isola Superiore. This island, while owned by the Borromeo’s, was never developed and is now the only island that has permanent residents on it. It was predominantly a fishing community, but it seems as though tourism may have taken over as the main industry. Almost the entire shore of the island is dotted with restaurants and cafes overlooking the water. There are also many stands selling souvenirs and local crafts. 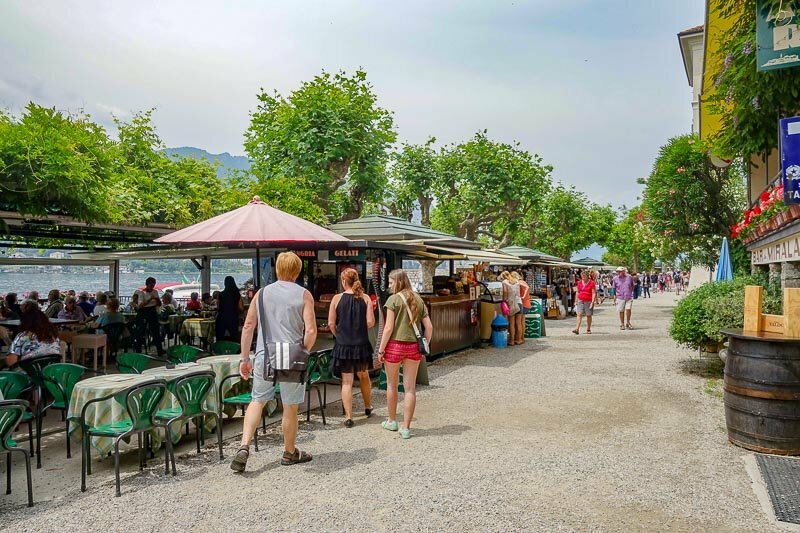 Here is the place to grab some lunch and soak up the small island atmosphere before moving on to island three. The shore of Isola Superiore is lined with restaurants frequented by the tourists who come to visit. This island is the largest of the three and was the first one to be settled. It is mostly covered by gardens containing interesting and rare plants from all over the world. There are also many different birds living on the island, including a few white peacocks and their more common cousins. Walking around the gardens in the heat of the day is pleasant, with some great views across the lake back to the mainland. Covered stairway in the gardens. 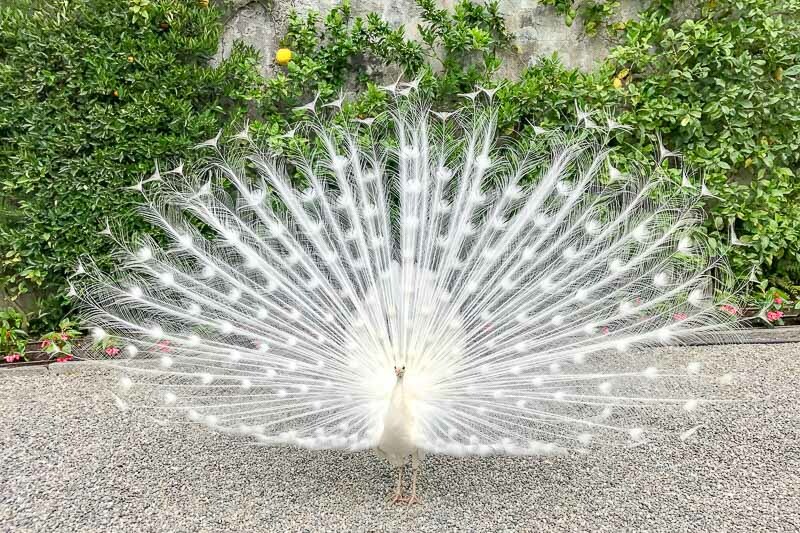 Showing off for the ladies – who just don’t seem to care! 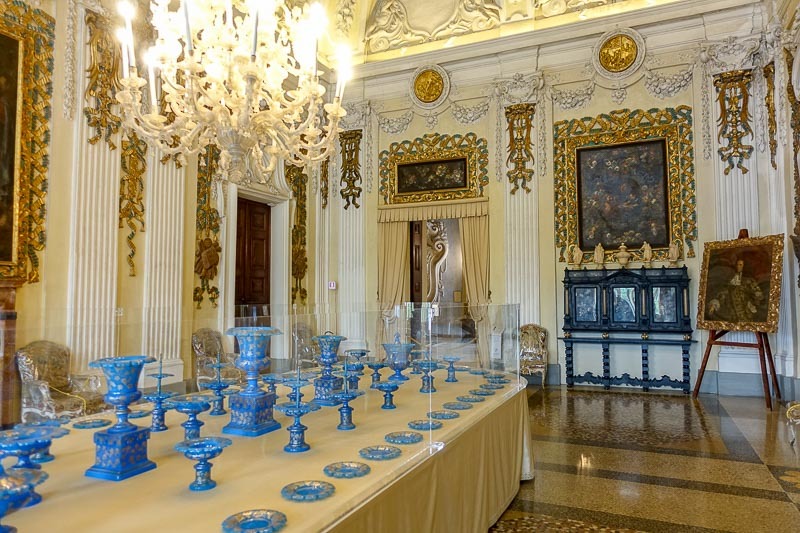 The palazzo on the island showcases more of the family’s furniture and artworks gathered over the years. Towards the end there is a display of children toys, puppets and theatre props, as the family was well known for the performances they hosted. Next to the house is a small but pretty family chapel. The pond in front of it has some particularly noisy frogs living in it that make some crazy noises. 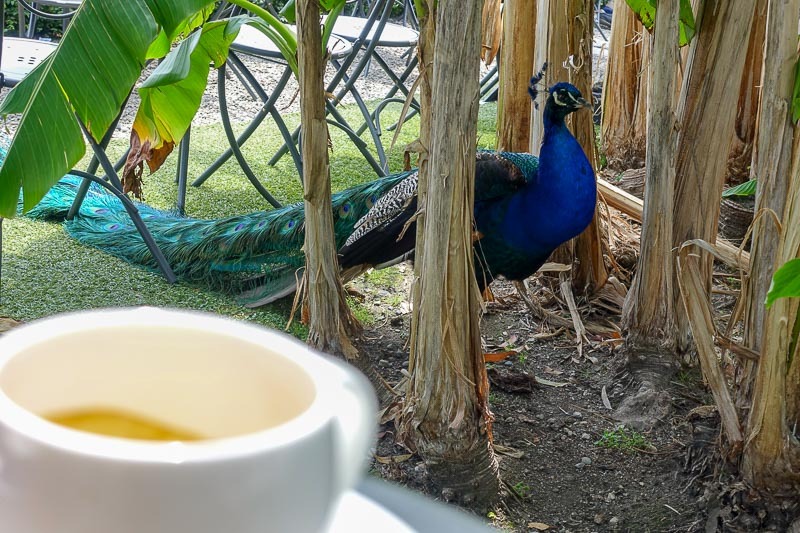 They can be enjoyed as you sip a coffee from the cafe around the corner. You may also be lucky enough to enjoy the company of some of the other birdlife on the island. The islands are seasonal, and are only available to visit during the peak summer season. In 2017 it was between late March and late October. If you are travelling near the cutoff dates, it is best to check the website to make sure you know they are open. There are lots of different options for visiting the Islands. 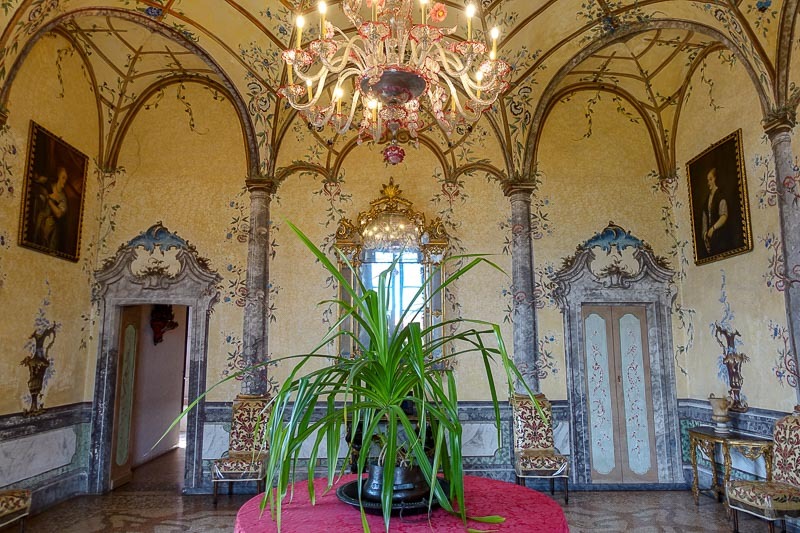 It is possible to visit one, all three, or all three plus another palazzo owned by the family on the mainland. There is no cost to visit Isola Pescatori. 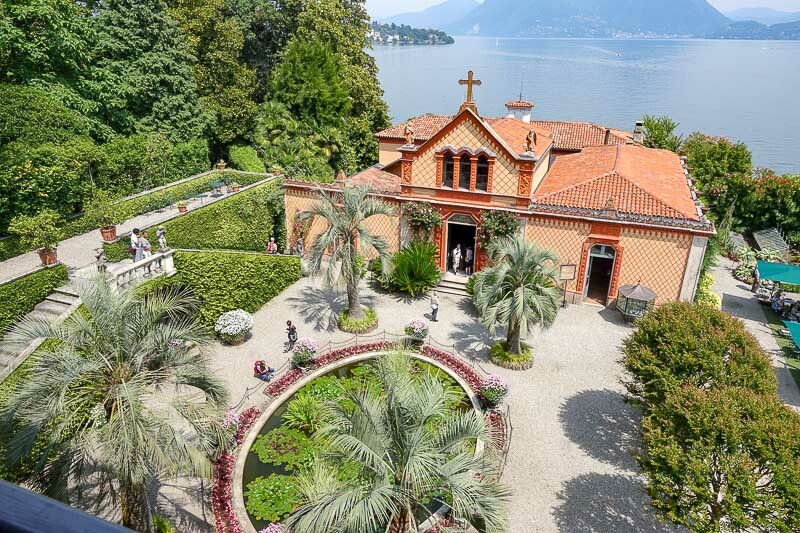 A pass to visit both Isola Bella and Isola Madre on the same day is €21. Guided tours are available, as are audiotours. For more information on the many options, visit the official website here. All Inclusive Tours or Something Special? How about these for some ideas? Click on the links for more information and pricing. 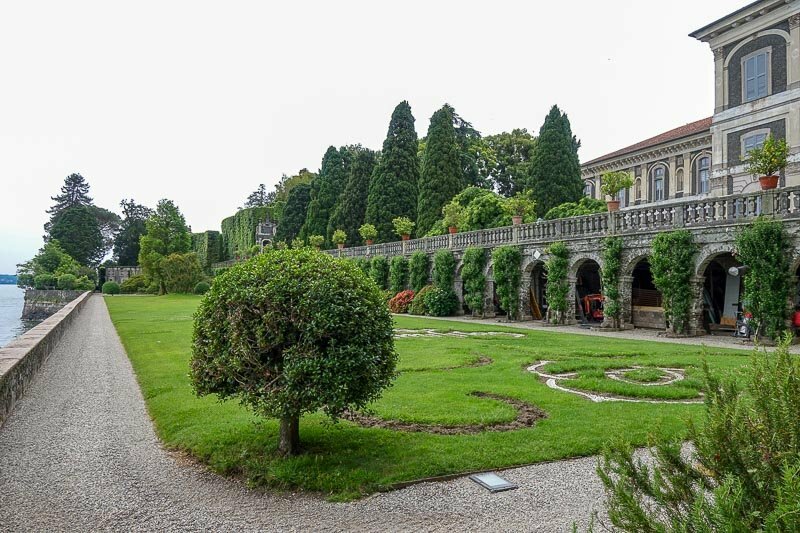 Private Tour of the Borromean Islands from Stresa – this private tour will pick up from your hotel in Stresa and go at your own pace for the day. 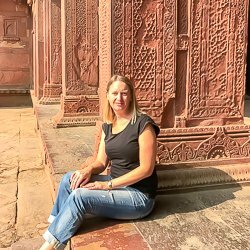 Your guide will give you all the information about the islands and their history. 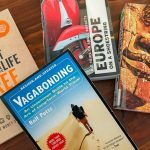 Whether you will be staying in Milan, or prefer a longer visit to the Lake Maggiore area, I use and recommend Booking.com. I love being able to book accommodation with no hidden costs and free cancellation in case my plans change. 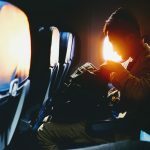 This means if I see something that looks good, I can book even if my travel plans haven’t all been made, and I know I can cancel with no cost if it doesn’t work out. 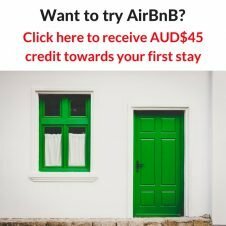 Looking for more accommodation options? Click here to check prices and availability. Thank you for this. Love the photos. We’re going back to Stresa in September and are really looking forward to it. Thanks Gary. 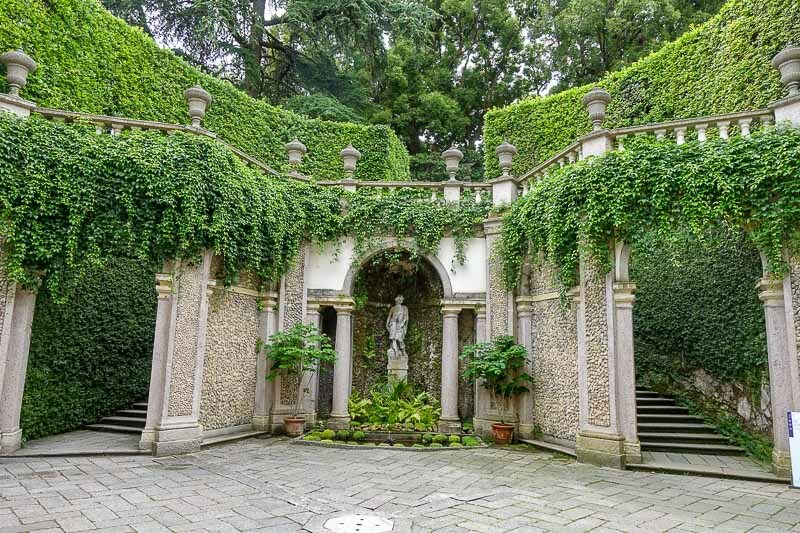 One day I plan to go and stay in Stresa to be able to see it properly rather than just an hour or two.